All Elevate Destinations tours, river cruises, expedition cruises, and adventure trips. Find the best guided trips and expert planned vacation and holiday packages. 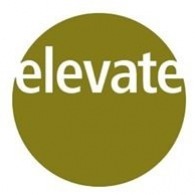 Average rating of 3.0 for all Elevate Destinations trips. Your journey starts with a ride on one of Melbourne's iconic and much loved trams (trolley cars). Discover Melbourne is from stylish fashion boutiques, laneway cafes and trendy bars to botanic gardens, sports stadiums and elegant architecture. Go through fine details of preparing and classing a fleece and the process a fleece goes through will be detailed, and this beautiful product that ends up as fabric. Enjoy the best vantage point to see the 36 domes that comprise this spiritual place while watching the sun’s morning glow as the desert comes alive. Learn how the local people live in such a hot desert climate surviving on a variety of bush plants and animals. Visit the rainforest to complete the adventure and cool off in a pristine freshwater stream. Enjoy a tour of the surf lifesaving club. Explore famous beaches, beautiful walks, harbourside real estate and enjoy a delicious, fresh, and healthy lunch. You will have an opportunity to visit Caracol Maya archaeology site, the largest archaeology site in Belize. In Bagan visit to local villages off the beaten track. Volunteering in a local community, planting trees or teaching English or environmental education. Kalaw is a gateway to great trekking. Visit elephants, their mahouts, and hill tribe people living in the surrounding areas.